After the weekend's concert and wedding, I was happy to enjoy a lazy Sunday filled with simple pleasures. I slept in, had lunch at a fabulous burger joint, perused my favorite import store and bought this tasty violet flavored candy. 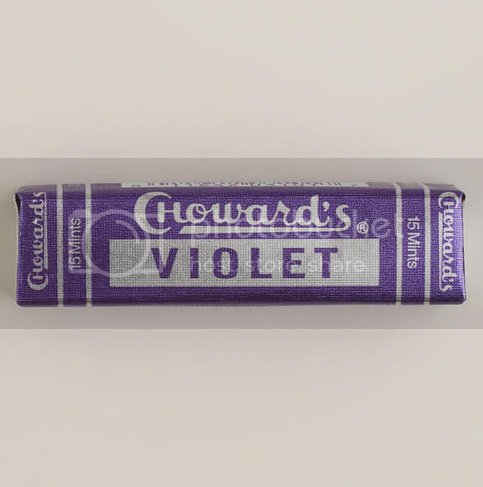 I truly enjoy the flavor of florals, so finding C. Howard's Violet Mints was a super score! Now, if only they had rose or jasmine. Sounds lovely! Have you had lavender ice cream? It's on my foodie bucket list.